It's the latest in changes at HLN, which is CNN's sister network. In June the network announced that Nancy Grace would be ending her very popular show and leaving after a dozen years as one of HLN's biggest stars. 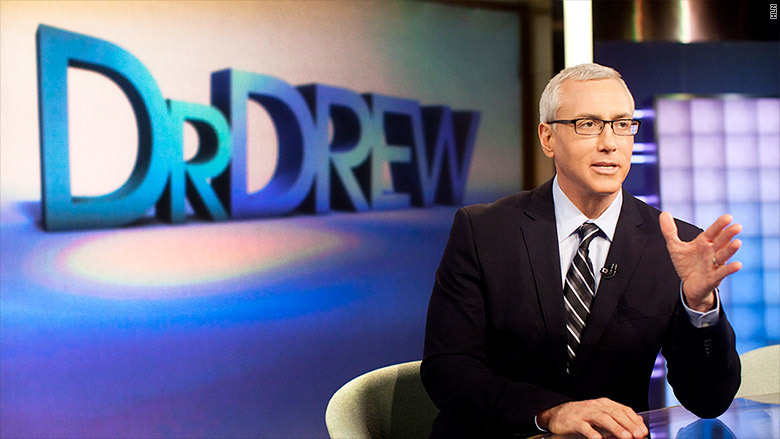 "Dr. Drew," which according to its site "explores the behavior behind the headlines and addresses the fundamental issue, 'why we do what we do,'" never reached the heights of Grace's show. Pinsky is well known for some of his other work including VH1's "Celebrity Rehab" and the syndicated radio show "Loveline." "It has been a privilege working at HLN," Pinsky said in a statement of his own. "My executive producer Burt Dubrow and our outstanding staff and contributors were consistently exceptional. I am very excited to stay within the CNN Worldwide family as a contributor." HLN will air reruns of "Forensic Files" and episodes of CNN originals in the "Dr. Drew" 7 p.m. ET time slot.